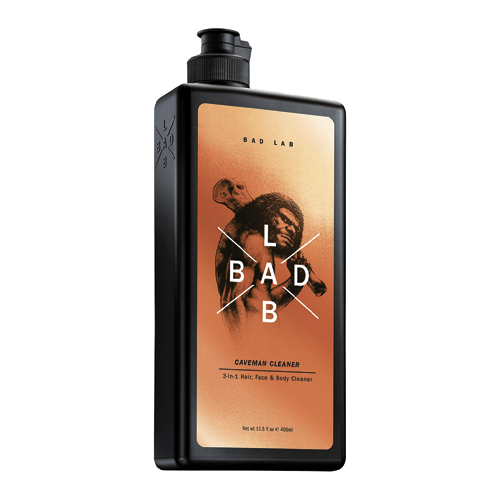 An all-in-one cleanser for hair, face, and body that removes dirt and control Caveman odors. With purifying FluidiPure TM 8G and a blast of cooling menthol, this turbo-fast cleaner saves time in the shower as it aids in skin recovery, replenishes naturally depleted nutritive minerals in the skin, restores skin’s natural acidic mantle, and fights against microbial build-up for that refreshed, revitalized, and oh-so-irresistible face. Perfect for the multi-tasking dude. ACTIVE INGREDIENT: Fluidipure TM 8G HOW TO USE: Massage liberally all over hair, face, and body during shower. Rinse off thoroughly. FULL SIZE: 200ml/ 400ml/ 800ml PRICE: PHP 224.75/ PHP 389.75/ PHP 599.75 AVAILABLE AT: SOCIAL MEDIA: Grab yours now at Sample Room!